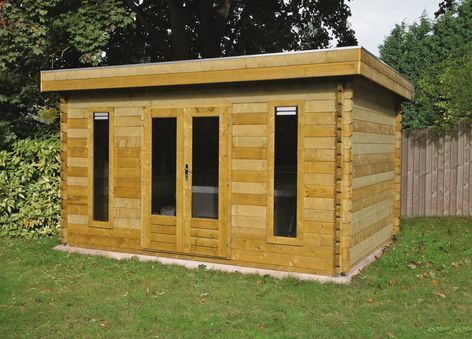 The Helsinki log cabin has double glazed windows and doors as standard, making this cabin perfect for a home or garden office. A double door allows easy access to the cabin. 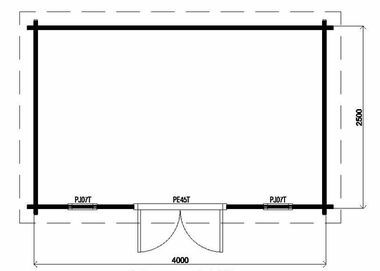 Size approximately 4.0m x 2.5m in 44mm log thickness. The standard package includes 1 double door PE45H and 2 windows PJ07. Windows and door are double glazed.